Something Else to Do with Kohlrabi! Yaaaay! My family actually ate it! OK, so maybe I’m a little enthused over this one. I’ll admit it: I’d never seen a kohlrabi before joining a CSA and it’s been an adventure of discovery since the first, freaky-big, green orb landed in my produce bag. Not everyone in my family, though, has been so keen on the adventure. I’m becoming a bit of an expert at covert kohlrabi. 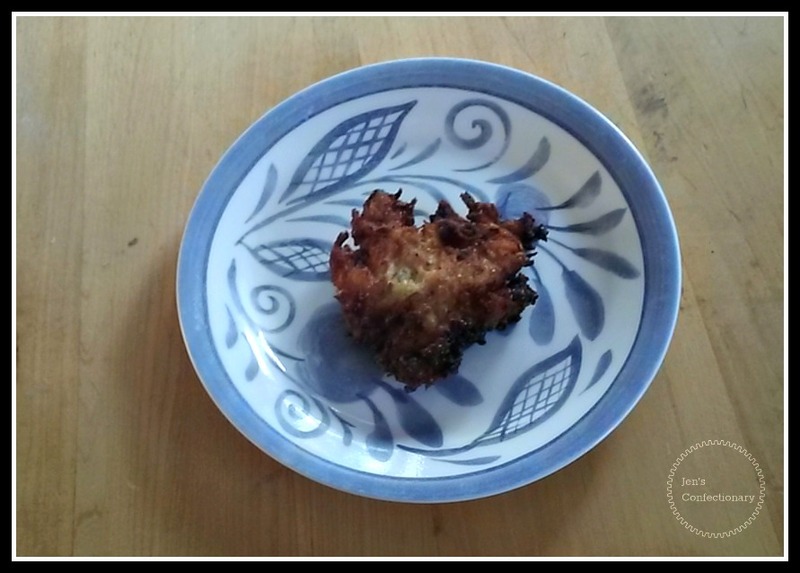 The latest epiphany was that I could shred it in the place of potato and make latkes of it. I did just that, and added onion, egg, and self-rising cornmeal (which I’ve been trying to use up since someone once brought me that from the market instead of regular cornmeal, thinking they were helping because surely self-rising would be “better”…), and seasoned it with salt and pepper. It was pretty darn yummy! They didn’t stick together quite as well as potato latkes, but I learned to clump them better and be even gentler when putting them into the hot oil. These I paired with an Italian red sauce since the turnip-y taste and texture seemed like they’d balance nicely with something acidic and savory. 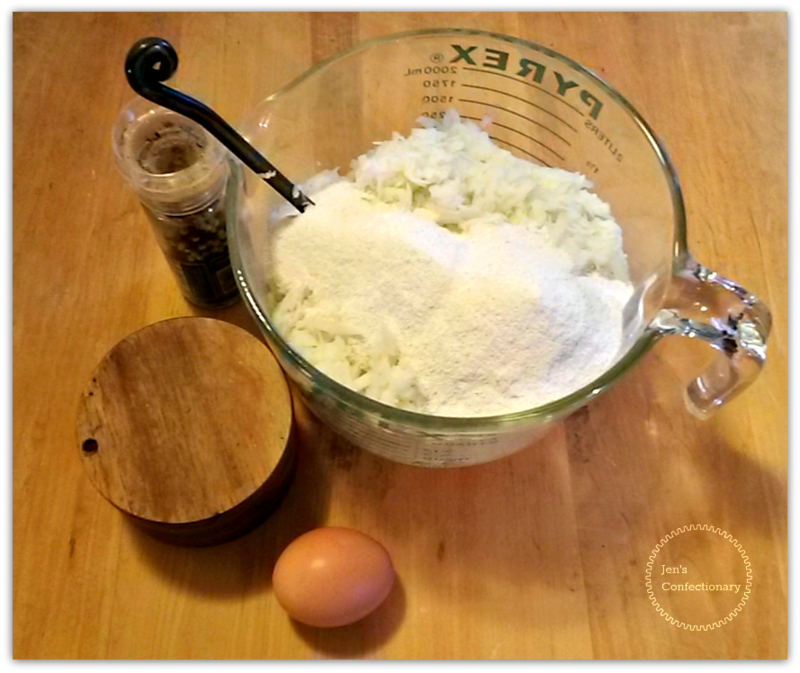 This entry was posted in Savory and tagged kohlrabi, latkes. Bookmark the permalink.